Summer Chimney Cleaning in Milwaukee? Following months of winter use, the buildup of creosote and soot lining the inside walls of your chimney will likely be substantial. Majority of people often wait until the fall begins to quickly schedule a chimney cleaning and inspection, preparing it for use throughout the next cold season. In reality, having your chimney cleaned in the summer is not a bad idea at all. Perhaps you missed spring cleaning and think it’s too late. Never! As much as Wisconsinites like to complain about the bitter cold each and every winter imparts, chilling us down to the marrow of our bones, there are plenty of perks to living in our fine state. Midwestern summer nights provide the distinct advantage of letting us enjoy the open air. A lack of humidity means there are plenty of sunny days followed by cool nights. Many of us like to turn the AC off, open all of windows in our home, and let the cool breeze slip inside at its own will. On pleasant – even romantic – nights like these, getting a little fire going is never a bad idea – especially if you don’t have a firepit to make one outside. Even if your chimney remains unused all summer long, there’s still a plus or two to scheduling a summer cleaning for your Milwaukee area fireplace. For one, things are a little less hectic this time of year. We always make sure to squeeze in new clients come the busy season, yet experiencing the ease of scheduling the exact time of your choice is a little more probable in May, June, or July. 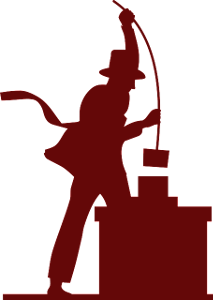 Another benefit of scheduling a summer chimney cleaning is that your chimney will be as clean come fall as it is on the summer day we leave your home. Additionally, you might be running your air conditioning pretty heavily, and a chimney inspection now (while you’re spending $$$ on AC bills) will let you know if your chimney is leaking air, or even letting in rain. A fireplace is plenty hazardous (not least of all to your wallet) even when it is not being used. For decades, Wisconsin Chimney Technicians have been servicing the Milwaukee area from our headquarters in Waukesha. 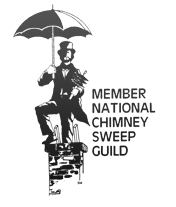 Ensuring safety and restoring luxury – those are the two core services you should ALWAYS count on our sweeps to provide. 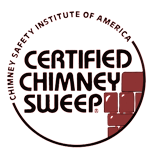 Contact our Milwaukee chimney cleaning professionals today.